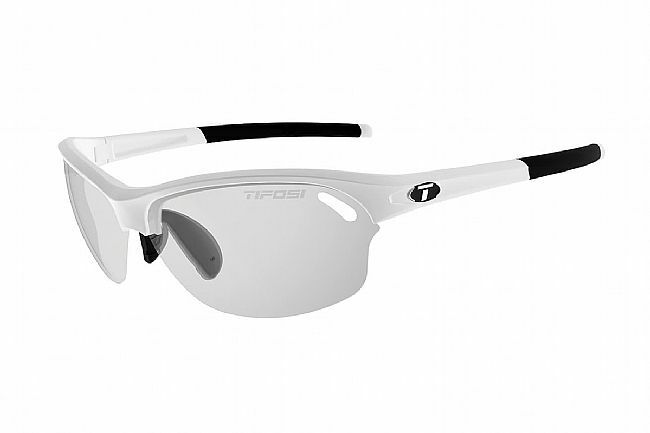 Tifosi's Wasp Fototec Sunglasses use a full-coverage photochromatic lens that automatically changes tint in variable light conditions. The shatterproof polycarbonate lens is optically decentered to virtually eliminate distortion, provide sharp peripheral vision, and offer 100% protection from harmful UVA/UVB rays, not to mention bugs, rocks, or whatever else comes your way. The frame is made of Grilamid TR-90, a homopolyamide nylon characterized by an extremely high bending strength, low density, and high resistance to chemical and UV damage. 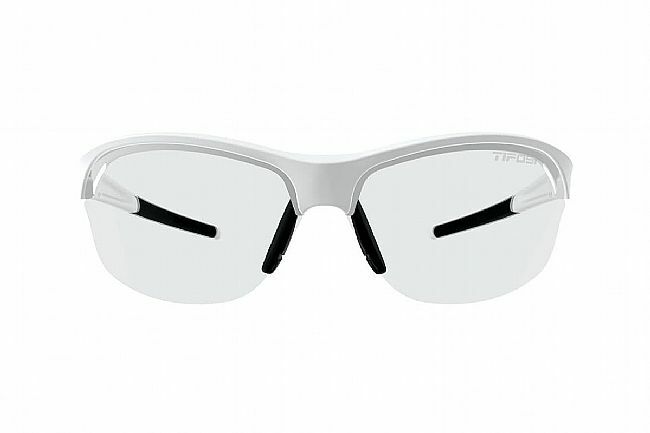 Hydrophilic Adjustable Temples become tackier as you perspire, so the glasses stay put during hard efforts, and adjustable nose and ear pieces ensure an incredibly comfortable fit.